I cannot say it enough, but I'm so thankful for our pool -- especially when the high for tomorrow is 104*. Yes, you read that correctly, 104*. So with the oppressive humidity, it's sure to feel upwards of 110*. And for that, I'm thankful for this pool (even though it already feels like bath water). And speaking of the pool, I have had several of you message me on Instagram asking about the safety net we have on our pool. It's from a company called Katchakid and we've already put it to use twice since living here in early April -- and I'm sure it will come in handy in the years to come with little boys. I'm absolutely loving this bathing suit I found from Target! 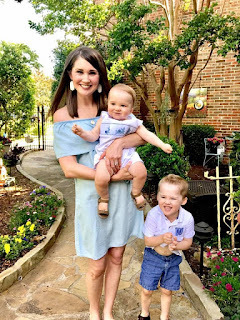 It's so comfortable, cute on and mom-friendly -- meaning I can run and play on the beach or at the pool with my kids and not be afraid something's going to pop out. (The description says "cheeky" but I didn't find that to be the case at all.) I actually had a few moms stop me on our beach trip and ask where I got it, so I consider that a win! Shout out to good ol' Target. The boys and I met our friends on Wednesday at a new Play Street Museum location that opened up in the DFW Metroplex and it was such a fun time! These are little interactive children's museums and each location has a different theme. This one was a college theme and it was so cute! The boys had a ball in the "dining hall" and the "child development center" and of course, dressing up as astronauts in their little literacy center and learning all about space! 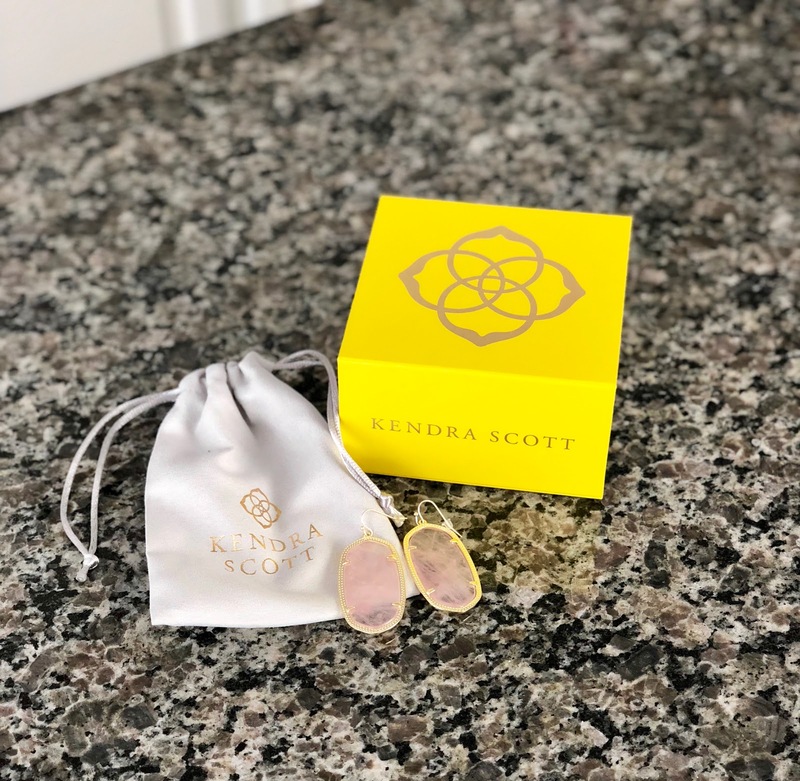 One more for today, because I'm just in love with these Kendra Scott earrings I was able to find via Wikibuy! Such a cool site (since y'all know I'm all about finding the best deals on things...) and I'm in love with the rose and gold combo. They're going to go with so many different outfits this summer! Cute earrings! That suit is super cute. I love the one shoulder! Those earrings are just gorgeous!! I can not believe it's already 104 there! Holy. Cow. Have a great weekend, friend! We may possibly be buying a house with a pool so I am definitely checking out that net!! Love that bathing suit! & I'm so with you on the dark wash cloths. 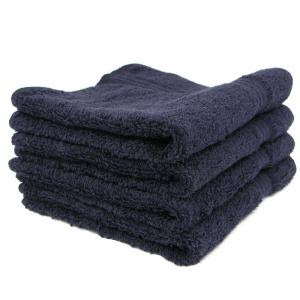 I just got some dark gray microfiber cloths and I love not having to wash them as soon as they get dirty haha. That bathing suit is super cute! I will have to check it out! Also great idea on the black wash cloths. I hate looking at my white ones all stained and gross after taking off make up! Have a wonderful weekend. Visiting from H54F! That is an adorable bathing suit! Looks like you had a wonderful beach vacation. That bathing suit is super cute!! And loving those earrings too! Love the earrings and the suit and the beach photo. The dress was just perfect for the photo. What a great end to May and start of June! I have to say, I'm quite jealous of your pool lol it looks amazing and so much fun!